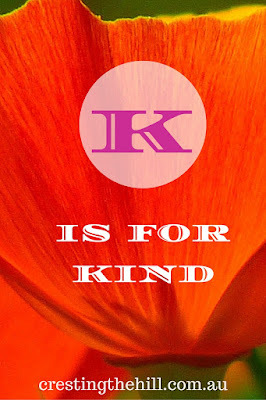 Next letter up for the A-Z challenge of Positive Personality Traits is K - and K is for Kind. I'm sure everyone has read the quote "kindness doesn't cost a damn thing, sprinkle that s**t everywhere". It's a bit rough around the edges, but it is also succinctly true - kindness costs nothing and sharing it around makes the world a nicer place to live in. Kindness is a trait that everybody needs to develop - the kinder we are, the gentler we are with others. It works on putting others and their needs before our own. It's the assumption that if someone else is hurting, then we should take the time out of our own little world and see if there's anything we can do to lighten their load. Our lives today are busy and we are often focused solely on our own needs and getting through the day. The thought of taking on someone else's burdens is an added stress to avoid whenever possible. The trouble is, this way of thinking isolates us and we lose the opportunity to be a helping hand or a listening ear. We lose a little bit of our humanity when we ignore the needs of others. Those who extend a hand to help make this world a little brighter. Kindness breeds kindness - if you help someone back on their feet, it allows them the opportunity to pass that along in their own time. An act of kindness to someone facing dark times will never be forgotten. When we look back at times in our lives when we have been struggling, it's those friends who offered us a hug or a gentle word who stand out in our memories. That was truly wonderful Leanne! Indeed kindness breeds kindness! Sharing a little kindness makes us happier and also makes us realize to be grateful for what we have! Beautiful! Very true. Sometimes when we get so worked up with our daily lives, we forget how an act of kindness can impact others. We lead such busy lives Samantha and that certainly distracts us from taking a moment to be kind - to our detriment I think. Love, love, loving your subject for today and for how you've shared it with us! Today we're twins! You rock! I love that "happy and kind cycle" Srivi and I hope we see more of it as time goes by - the world would be a better place I think. Kindness...yes, a little does go a long way. A lovely reminder. We are on the same wavelength with our A to Zs! Unfortunately, there are less and less people with this trait Leanne. It doesn't cost anything to be kind and I think we are a better person for it. Like gratitude we need to stop and think about how we treat others in this busy world we live in. Great post. 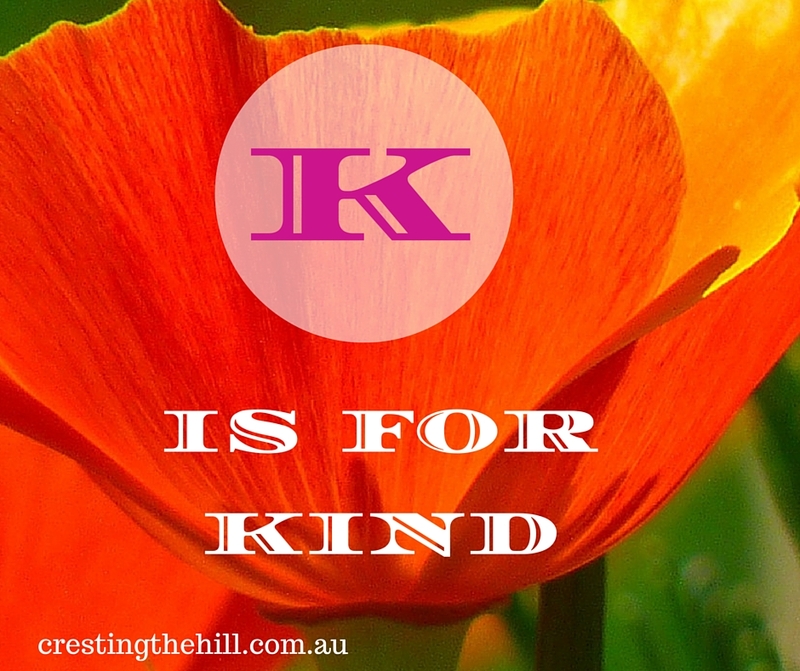 The letter 'K' has found a good home here in kindness. Acts of kindness, in the home or outside are very powerful indeed, especially if it has cost the kind-giver by sacrificing their own right to be kind to another. I am not sure that makes sense :) I hope you know what I am trying to say. It makes sense, Kathleen, and I love the way you worded your first sentence! 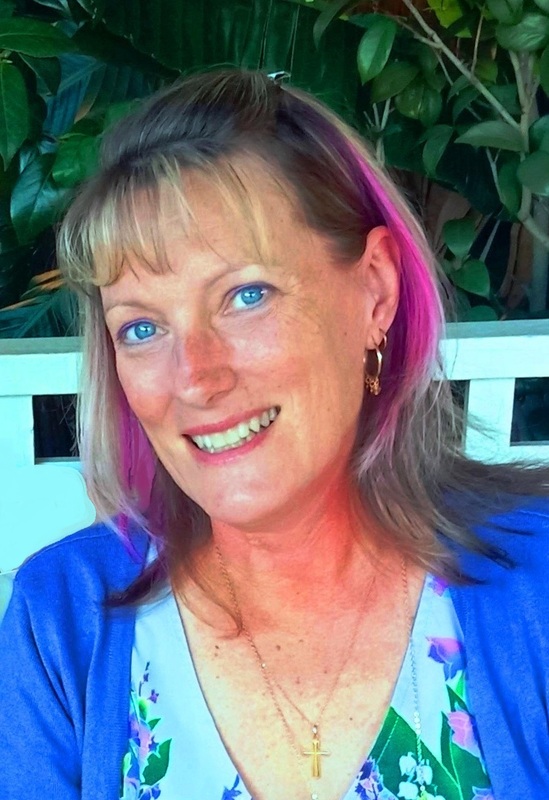 Great article, Leanne -- I love what you are doing with this A-Z series! Kindness - it can be done in the most simplest ways. A smile, holding the door for someone, picking up something for a neighbor, or just say good morning when someone walks by and ignores you. Kindness - how much more pleasant the world would be if we all did one kind deed a day for someone other than ourselves. There just isn't enough kindness in the world anymore. I'm a huge believer in Karma. I think that if you put good into the world then good will return. Great post. Kindness is so important - just a single kind word can totally turn your day around. It's so sad the way kindness is so often equated with weakness today. Yes, we should all aim to be kinder. I fear that, whilst I think I am a relatively kind person, I don't think I am as kind as I once was when I was younger. I think that I have let myself get beaten down & affected by cynicism a bit, and now am not as kind or as nice a person as I used to be. Must work on that.